In this home the master bedroom is situated in the basement. The homeowners wanted the master bathroom to be on the same floor. Our team built two new rooms out of scratch in the unfinished portion of this home’s basement; a new master bathroom and a laundry room. Our team started this project by breaking open the unfinished basement’s concrete floors. 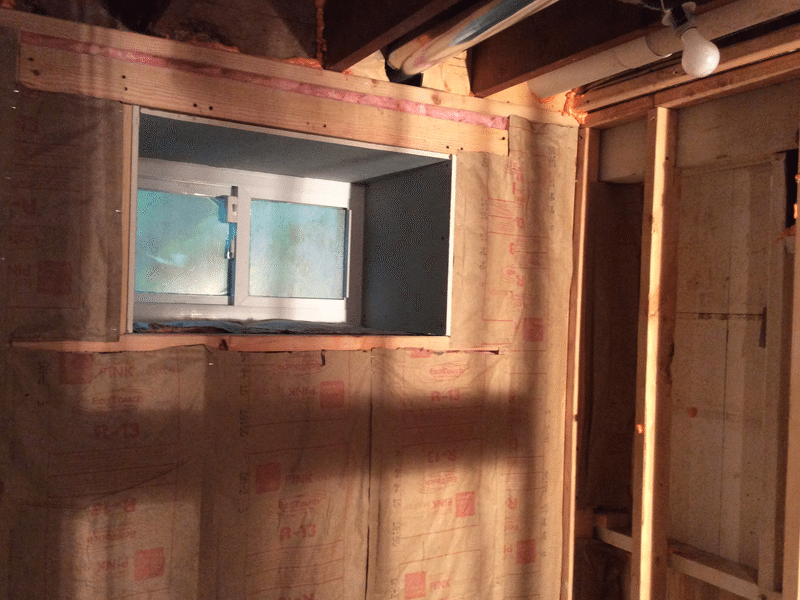 Once the floors had been opened new plumbing and drainage were installed.The room was then framed to the studs. Everything for these two rooms had to be built from scratch. 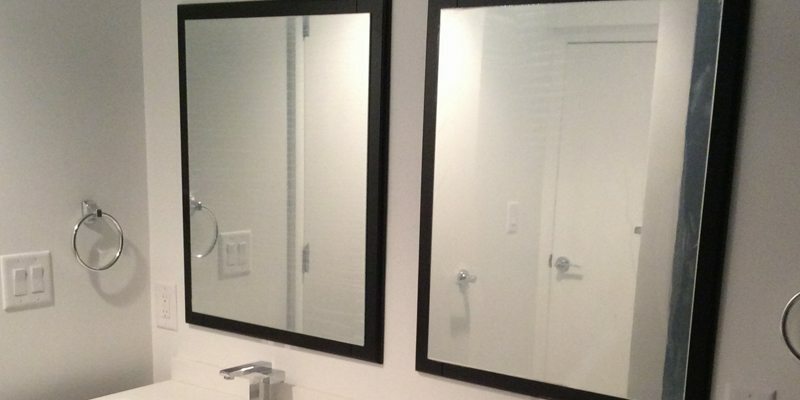 Our team installed all brand new tile walls and tile floors. A new vanity and bath tub were brought in and installed. 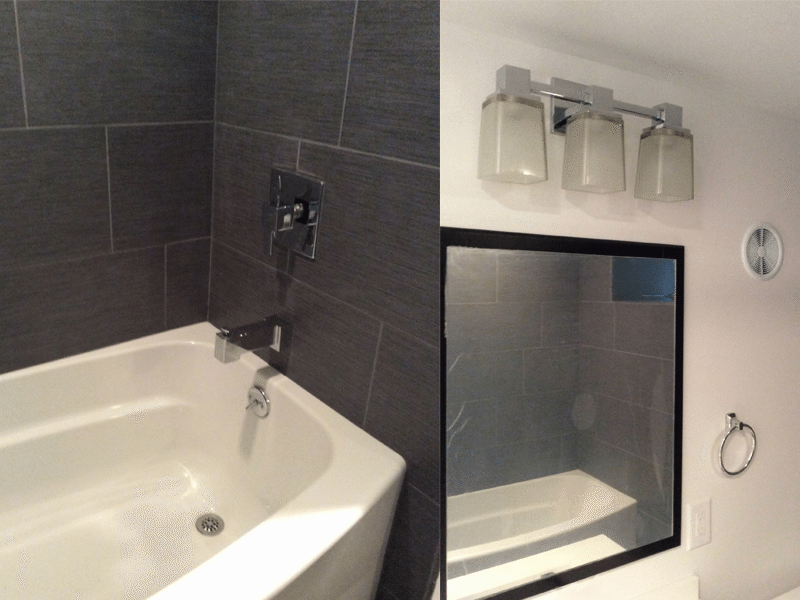 New shower tile, and lighting accessories were installed as well. While on site our team also created a laundry room in this home’s basement. Over the course of two and a half months our team at Monk’s transformed the unfinished portion of this basement into a contemporary and crisp bathroom and laundry room. Other Types of Work: Bathroom renovation, Bathroom tiling project. 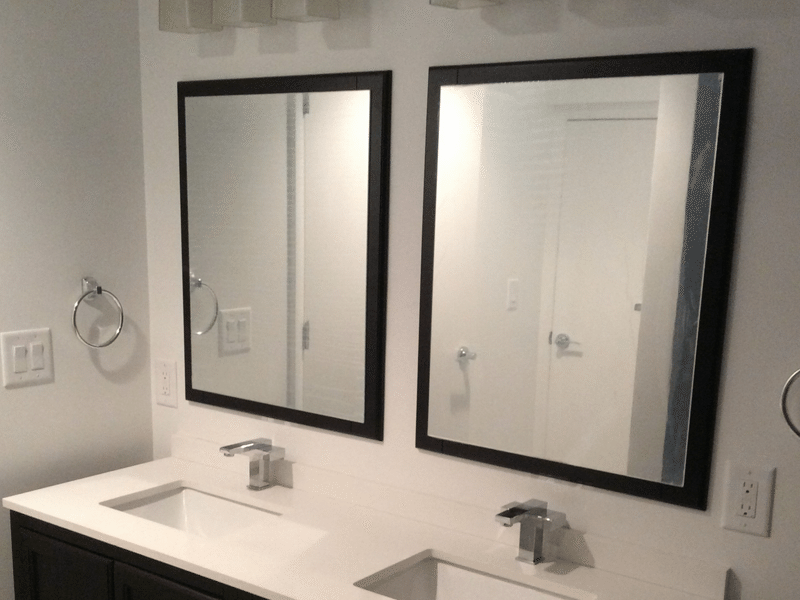 If you are considering a bathroom remodeling project for your home we would like the opportunity to tell you why we think we are the best bathroom remodeling contractor in Morris Plains, NJ.